A-HOTEL.com - Luxury and cheap accommodation in Yerozdino, Russia. Prices and hotel, apartment booking in Yerozdino and surrounding. 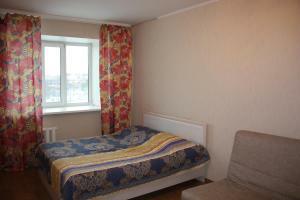 Mini-hotel Hermes Kutuzova 34 is offering accommodation in Syktyvkar. The hostel features a shared lounge. Located in the administrative centre of Syktyvkar city, these apartments feature free Wi-Fi and a fully equipped kitchen. Stefanovskaya Ploshchad is 3 minutes’ drive away. Apartments Luxe is a self-catering accommodation located in Syktyvkar, within a 10-minute walk of the Kirova Park. Free WiFi access is available.